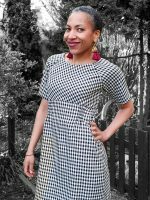 We are very excited to be launching our brand new Geo Dress pattern this week! The Geo Dress is a relaxed, batwing shape with a round neck. Its raglan sleeves creative strong geometric lines from the neckline all the way down to the side seams. 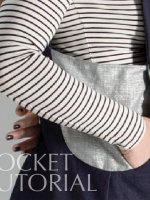 These seams incorporate deep, comfortable pockets, and are topstitched for emphasis. 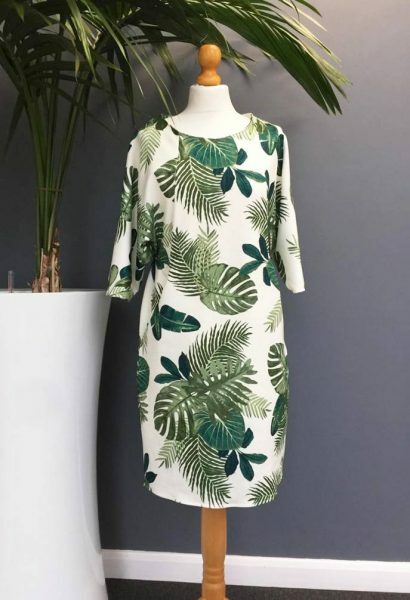 The dress fits gently into the waist and hips and finishes just above the knee (for 5ft 8 height). It pulls on over your head – no zip required. 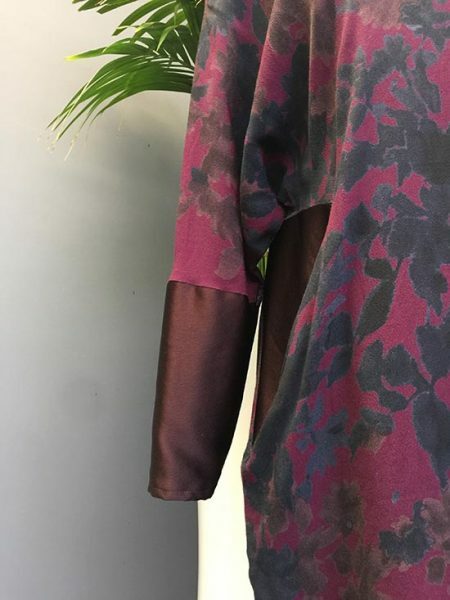 The Geo dress was initially designed for woven fabrics, and my first make of it was in this lovely plum patterned crepe which works beautifully. I used the reverse side of a plain satin-backed crepe on the lower sleeves and side panels. The change in texture emphasises the structure of the dress really well. 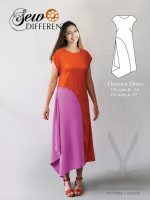 The front cover image is made in a light tiedye-look cotton viscose. Whatever fabric you choose, it needs to have some drape quality to it. Anything too stiff, such as 100% cotton, will look and feel bulky around the batwing sleeves. 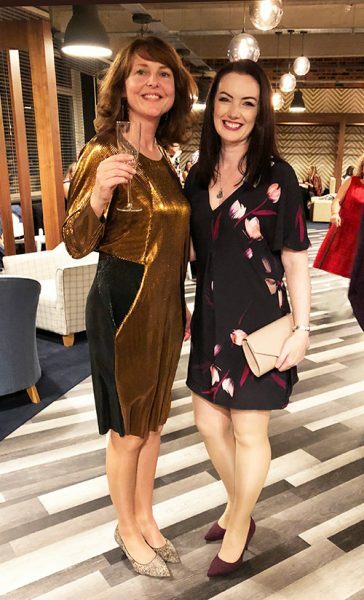 I launched the dress at our Frocktails event and you can see me here in my gold version with Naomi, one of our students from the daytime workshops, who is wearing her own creation. 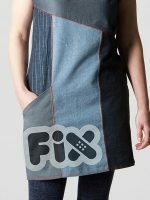 The fabric I’ve used is an amazing metallic micropleat (from Fabworks). It is gold on one side and black on the other. As you can see, I have used the reverse of the fabric in some areas. 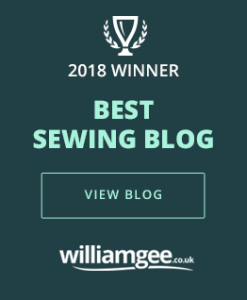 I have to say, it wasn’t that easy to sew with as the pleats stretch out as you sew and the fabric then extends along the seams. However, I did manage to get round this by pulling one thread in every line of stitching and effectively gathering it back into shape. 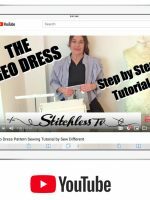 There is a good info page about sewing with micropleated fabric just here. 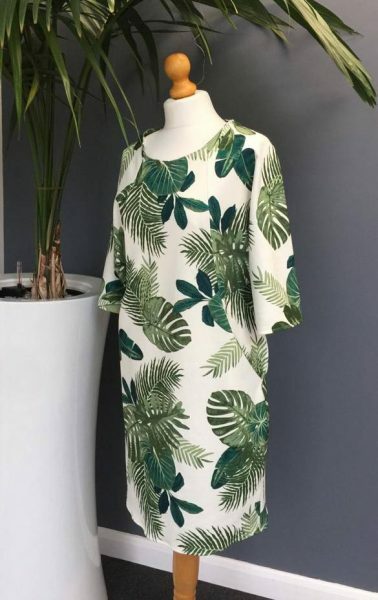 On this leafy version of the dress I have omitted the narrow, fitted part of the sleeve and just used the batwing section for a shorter and more summery look. This gorgeous dark floral scuba makes a great Winter version. The fabric is called Florence Bouquet (£7/m) and you can find it on the Fabworks website. 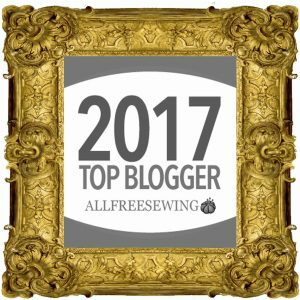 ← Previous Post: Frocktails – the post-party write up and videos!